・NEW! Coverage of FAST ultrasound examinations is found in the section on Focused Assessment with Sonography for Trauma, Triage, and Tracking. ・NEW! 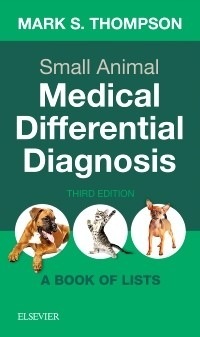 Overall content update includes substantial revisions to the disorders, syndromes, and diagnostic and laboratory tests that are listed in this guide. ・More than 400 lists bring the most important medical diagnostic information from multiple resources into a single quick reference. ・Easy identification of the likeliest diagnosis is attributed by the possibilities being listed in order of incidence. ・Intuitive organization presents differential diagnosis by sign, symptom, and disorder to facilitate quick access to information. ・Alphabetical listing of all relevant laboratory tests makes information easy to find. ・Pocket size makes this guide portable, practical, and simple to use.